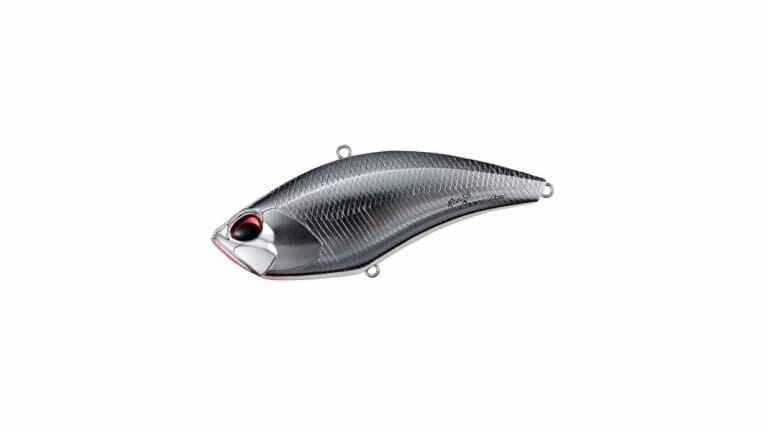 The APEX VIBE 100 is a giant lipless crank. 3-7/8" inches long (100 mm) and 1 1/8 oz. (32 grams) provides a prey object for big bass. Deep-water bass pursue the APEX lure with little effort. The VIBE 100 has a unique pulsation, more like a “thumping” vibration than a rapid bee vibration. 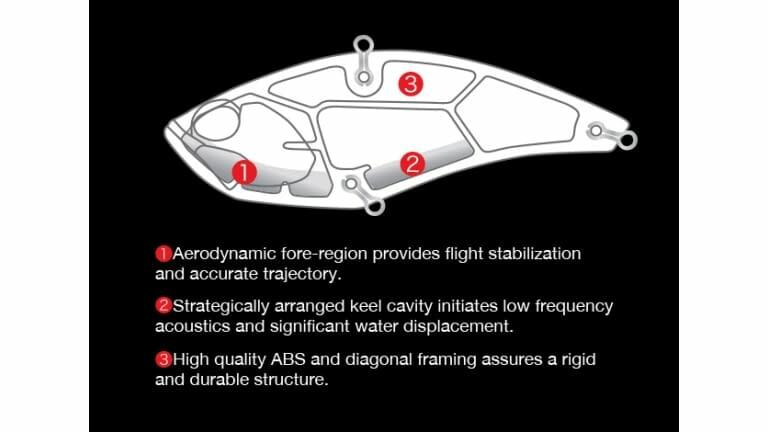 The action displaces significant amounts of water yet swims sinuously during the retrieve (much like a thumbing spinnerbait). It can be retrieved at different speeds. The lure sheds water and obstructions equally well and can be fished deep at angle or vertically. When paused or allowed to fall, it does so keel-first and at angle. It will rest in an upright position allowing crankbait artists to “rip and drop” the lure, enacting its vibration immediately.